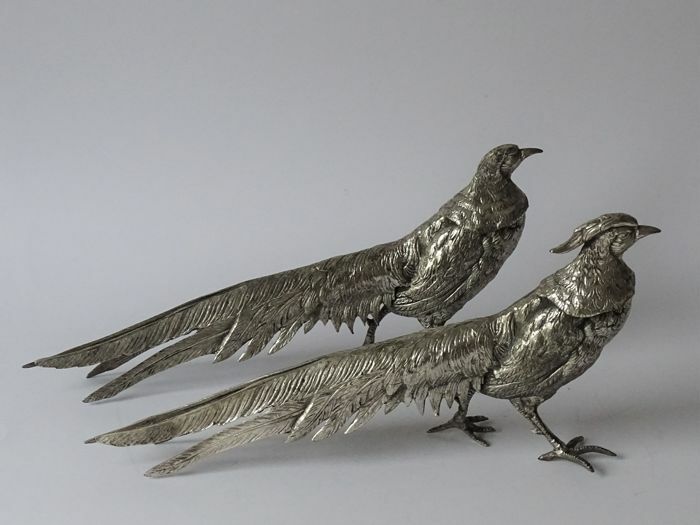 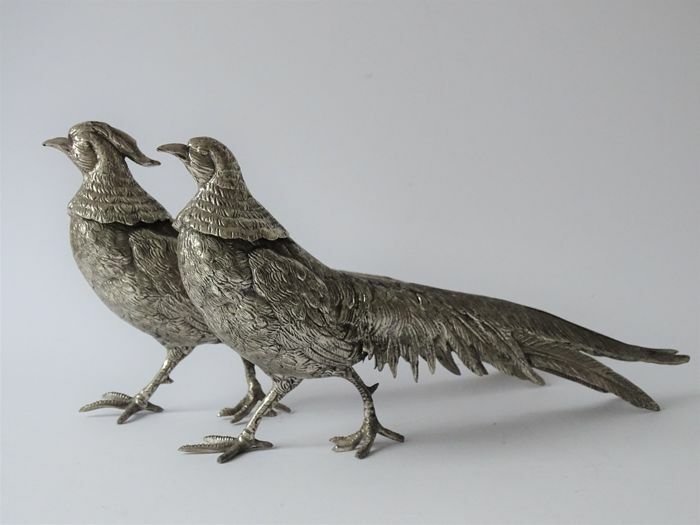 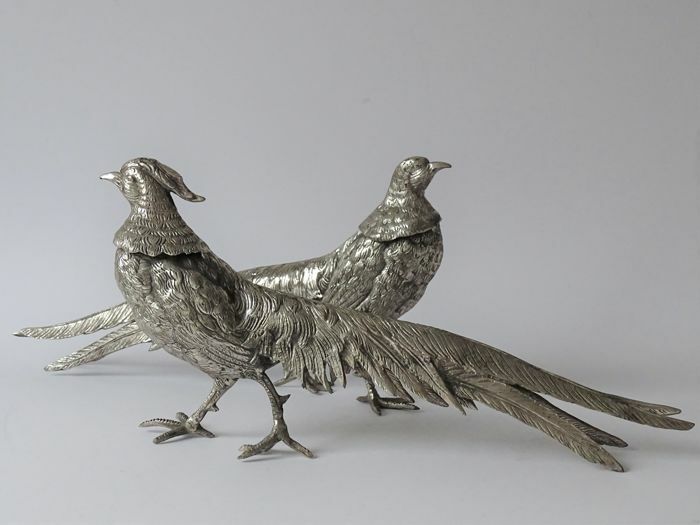 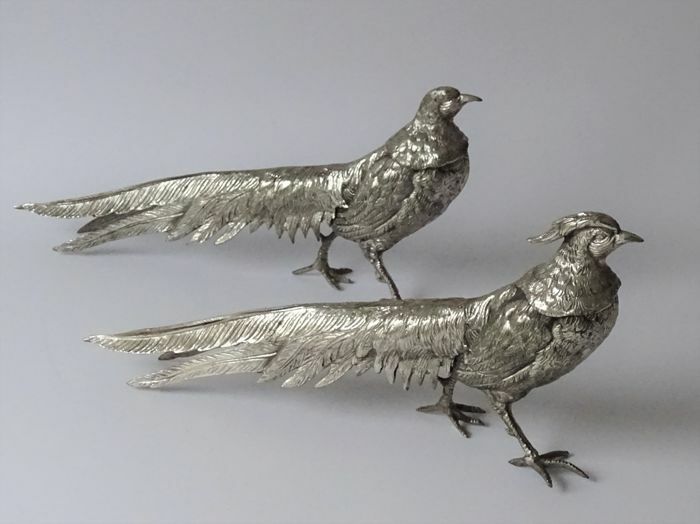 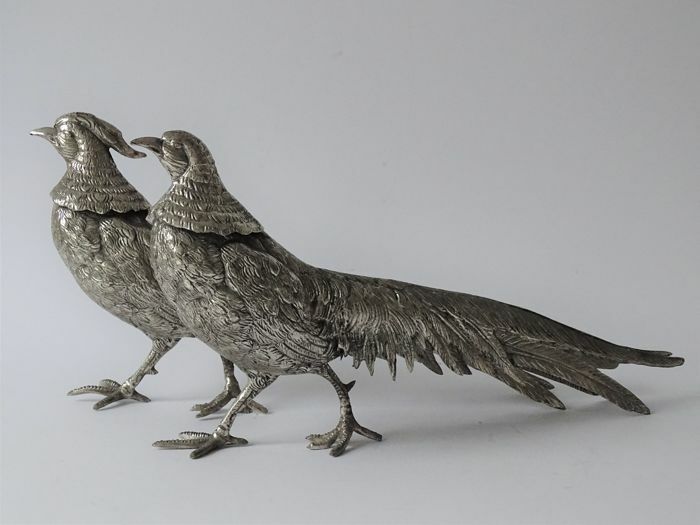 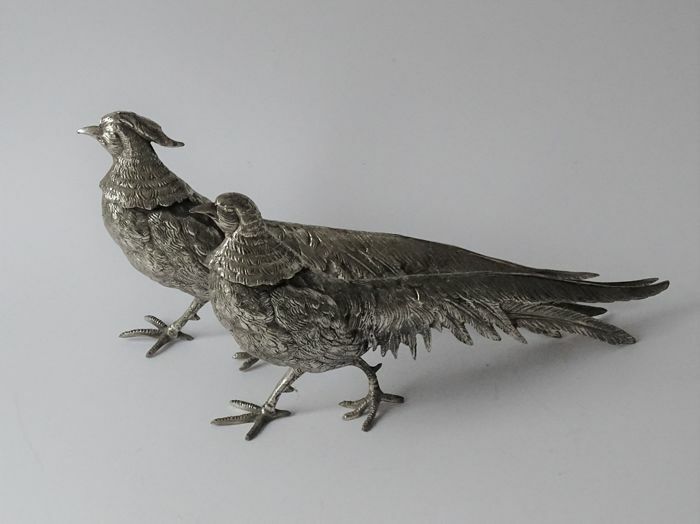 Pair large silver plated pheasants. 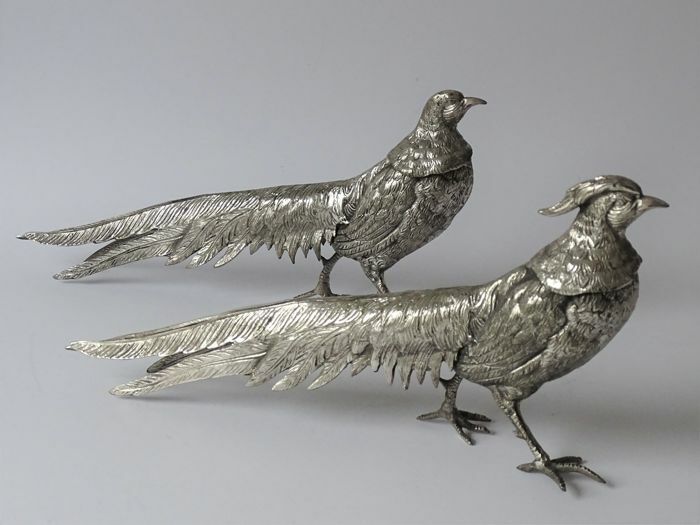 Exquisite table pieces with beautiful details. 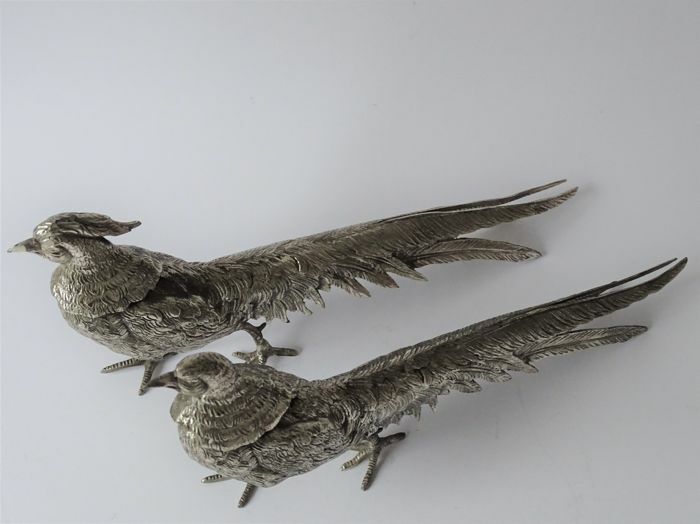 They are both 30.5 cm long and 14.5 cm high. 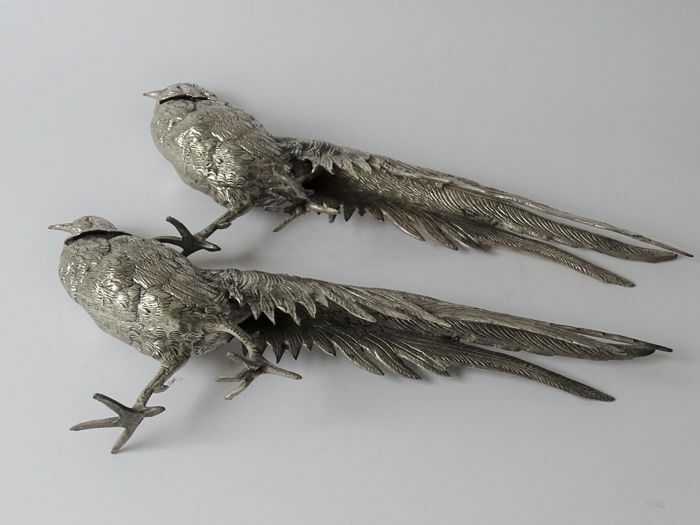 Total weight: over 1 kilo.